Using the latest on-site TOC Analyzer, AOS will perform extensive testing to determine the best treatment program and optimum dosage for TOC removal. With an on-site TOC Analyzer, we are able to collect real-time data on product performance. This allows us to make immediate changes to the treatment process based on the current state of the treatment plant rather than working from information from three days before. 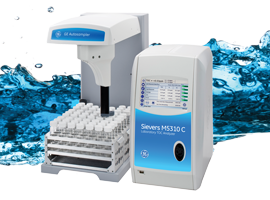 The AOS TOC Analyzer is a giant leap forward in obtaining quick, convenient, affordable sampling capabilities. For more information about the TOC Analyzer, please contact us today.